Villa Gasparini is a venetian villa situated along the river Brenta, very close to Venice and Padua. You can get in Venice just in 30 minutes by bus and the bus stop is really close to the hotel, or even by boat from Terminal Fusina (which takes 15 minutes by car): in 20 minutes by boat from the hotel you will directly reach the heart of the city, San Marco! You can also reach Padua in 30 minutes by bus, from the hotel. Timetables, information about the lines, maps and discounts are available. 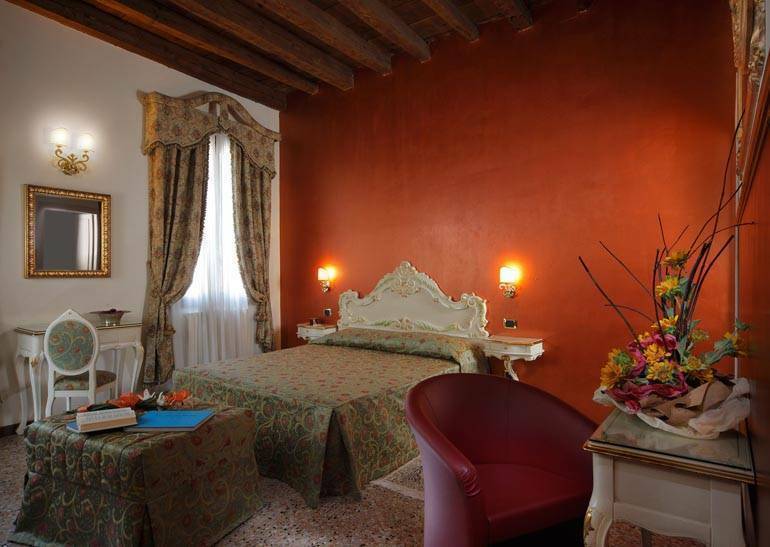 Hotel Villa Gasparini is a small hotel, with 15 rooms, a family business which holds all the charm of the ancient Venice. 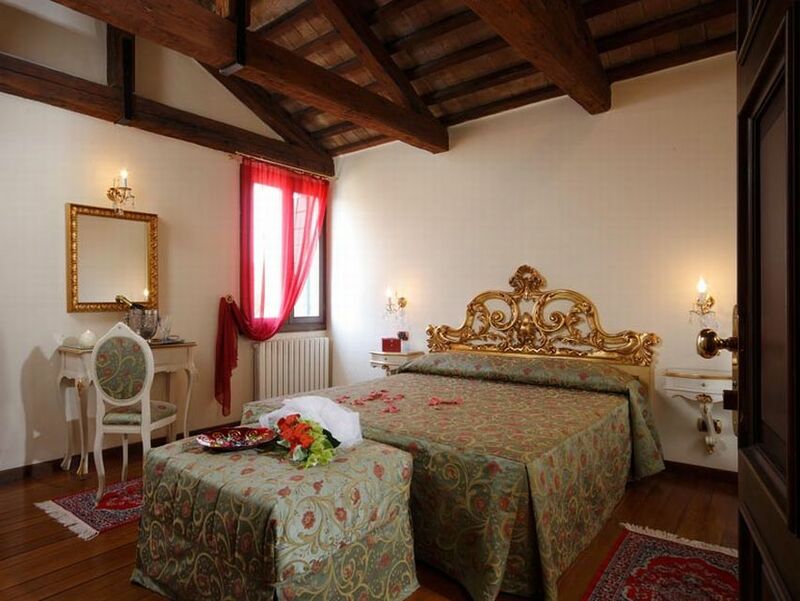 In Dolo, the heart of Riviera del Brenta and symbol par excellence of settecento Venice splendour, you will have the chance to relax in the elegent rooms of what was the summer dwelling of the aristocrates, ancestors of the present owners: the Gasparini. We strongly suggest the visit to the closer venetian villas by Palladio, disposed along the entire path of the river: by micro-cruise along the river (by the famous boat Burchiello), by bike (you can rent in the hotel mountainbikes or city bikes), by bus or by car. Don't let out the occasion of living a fantastic experience, full of charme, history and culture just around the corner of Venice. One of the 15 rooms of the Hotel Villa Gasparini will offer you what suits you best, whether you are on a romantic escapade, enjoying a cultural city-break, on a work trip or traveling with your family. We’ll help you choose the room that is tailored to your needs. The en-suite bathroom feature a Jacuzzi tub or crystal shower stall with high-class italian accessories, hair dryer and heated tower rail. Hotel Villa Gasparini is the result of the harmonious balance between the grace and the elegance of the past and the most modern conveniences like individually controlled air conditioning, mini bar, in room internet access, in room safe deposit box, LCD tv, radio, satellite, designed to cater for the most demandig guests. Venetian tipical osteria, good seafood and prices. For cancellation 3 days prior to arrival no penalty. Within 3 days 1 night charge. A4 Milano-Venezia highway: exit at Padova Est and follow the signs for “Venezia-Aeroporto (A57)” and exit at the Mirano-Dolo tollbooth. At the traffic circles, follow the signs for “Dolo centro”. At the third stop light, in the center of Dolo, turn left on SS11 and, after 2 km, you will the Hotel Villa Gasparini on the left. A4 Trieste-Venezia highway: as you approach Quarto D'Altino, follow the signs for “Venezia Est (A57)”. Exit at the Dolo-Mirano tollbooth and, at the traffic circles, always follow the signs for “Dolo centro”. At the third stop light, in the center of Dolo, turn left on SS11 and, after 2 km, you will the Hotel Villa Gasparini on the left. SS Romea: follow the signs to SS 11 highway direction Padova, after 8 Km you reach Mira. Continue along the highway for one more kilometer, and you will find Hotel Villa Gasparini on the right. By train: From Venice Piazzale Roma and from Padova Piazzale Boschetti bus terminals: move from railstations to the bus terminals and then take the ACTV line 53E Venezia-Padova (or vice versa) and get off before/after Dolo at the Cesare Musatti/ Casello 12 bus stop, just 50 m. from the Hotel Villa Gasparini. 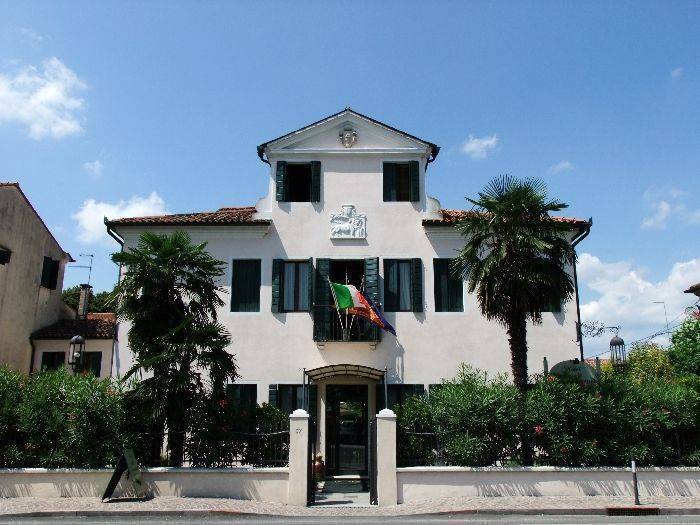 By bus: From Venice Piazzale Roma and from Padova Piazzale Boschetti bus terminals: take the ACTV line 53E Padova-Venezia (or vice versa) and get off before/after Dolo at the Cesare Musatti/ Casello 12 bus stop, just 50 m. from the Hotel Villa Gasparini.